I highly recommend anyone with Parkinson's get a basketball or a netball - the weight and feel matters a lot - and just play, feel, stimulate the muscle memories which are still there. Bounce, balance, catch, throw your way back to moving, every single day. Explore, play, be curious. Practice, but make sure you have fun with it. Enjoy whatever movement you can release, no matter how small. Feel good when you manage to extend your range. Feel good factor = dopamine reward = more movement = more feel good - and that is science fact. In the video I am playing by myself, the therapeutic effects are magnified by the social quotient of playing ball with family members and friends by massive amounts. 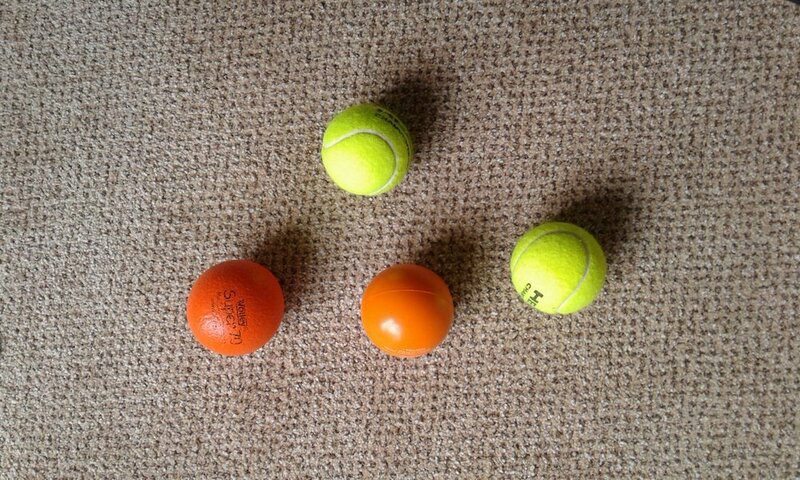 A very simple, but extremely effective therapy for movement recovery and progressive symptom reduction in Parkinson's Disease is to incorporate playing with balls of various types, sizes and textures. The hand-eye co-ordination and sensory feedback seems to open up access to movement considerably, presumably because it brings in other pathways and regions of the brain in to help.